Maximum resolution is limited by desktop resolution - if you want to play in 4K you must set 4K resolution on your desktop. Toggle with Alt+↵ Enter (not available on Windows). See Windowed. Open <path-to-game>\d3d9.ini or %USERPROFILE%\Documents\My Mods\SpecialK\Profiles\AnomalyWarzoneEarth.exe\SpecialK.ini depending on the installation method you used. Change ForceWindowed=false to ForceWindowed=true under [Display.Output]. Change OverrideRes=0x0 to set the resolution (e.g. OverrideRes=1280x720). The game will minimize to taskbar when pressing Alt+Tab ↹. XInput controllers only for the Windows version. Language can be changed directly in game. 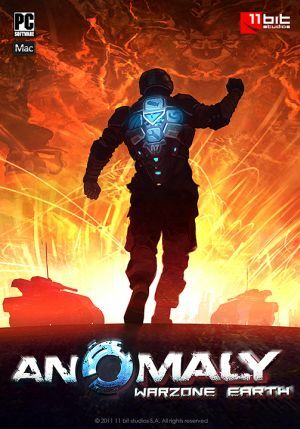 See Helix Mod: Anomaly: Warzone Earth. This page was last edited on 13 March 2019, at 02:05.